StarWind Virtual SAN (VSAN) creates fault-tolerant shared storage in the cloud by basically "mirroring" virtual machines in a cluster. 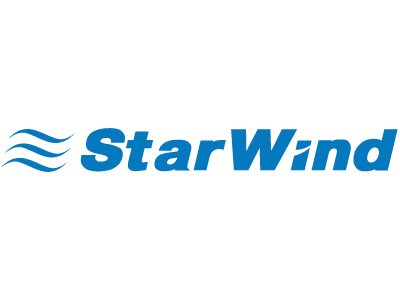 We help SMB, ROBO, Cloud and Hosting providers reduce virtualization expenses providing them with StarWind Virtual SAN (VSAN). It is software, which creates highly available shared storage by basically "mirroring" the VMs in the cloud to achieve fault-tolerance of the cluster. Unlike similar Software-Defined Storage solutions, StarWind VSAN is easily manageable, inexpensive, and highly-performing. In its basic configuration, it offers features, which are unavailable in similar solutions, like asynchronous replication, in-line and offline deduplication, Log-Structuring, multi-tiered RAM and flash cache, etc. Unlike similar open source solutions, StarWind Virtual SAN is fully in-house developed. It is a simple native Windows application, which has proven to be a reliable production platform. StarWind VSAN is covered by StarWind Support team and is eligible for Microsoft and VMware support services as well. StarWind VSAN offers server-side flash and memory caches, log-structuring and minimalistic I/O path. It supports standard uplink protocols, like SMB3, NFSv4.1, iSCSI, NVMe over Fabrics and iSER, working with almost any virtual environment.